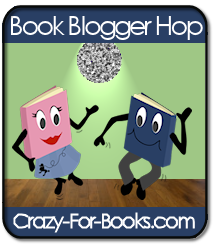 Book Blogger Hop is a weekly meme hosted by Crazy for Books, where book bloggers and readers can connect and share their love of books. All you have to do is answer the weekly question, then go check out some of the blogs of other people who are participating, meet some great new people and talk books (one of my personal favorite subjects, so what could be better?). This is really easy for me. I'm sure there are dozens of other people with the same answer, too. For me, if I could spend a day in any fictional world, it would be Hogwarts. From the moment Harry arrives at Hogwarts in Harry Potter and the Sorcerer's Stone, it felt like JK Rowling had taken something straight from my own imagination and put it on paper. Every person I've ever known who has read the books says they wish Hogwarts was a real place - it's just so magical, and the movies have really helped to bring the place alive in people's minds. If I could go to Hogwarts, I'd want to explore the grounds, go to classes, visit the common rooms, eat in the Great Hall, visit Dumbledore in his office, visit Hagrid in his hut, play Quidditch, take a trip into Hogsmeade, ride the Hogwarts Express, basically everything there is to do, and I'm sure I'd never want to leave, especially if I could be friends with Harry, Ron and Hermione. So how about you? Where would you go if you could spend the day in a fictional place?